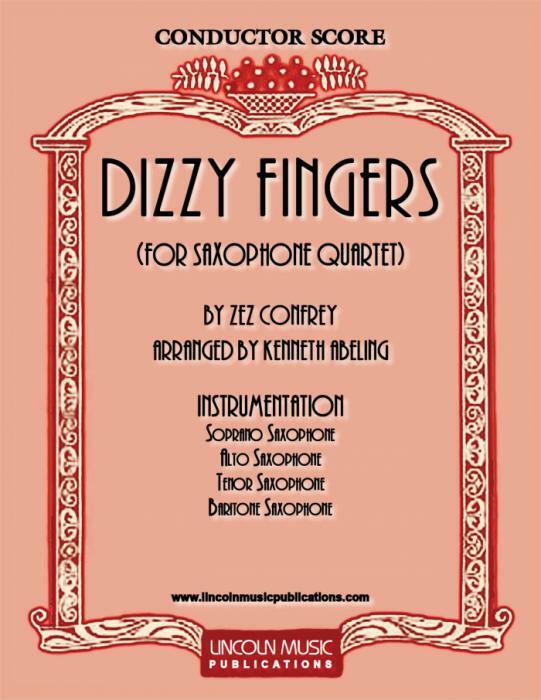 “Dizzy Fingers” by Zez Confrey arranged here for Saxophone Quartet by Kenneth Abeling. This is an advanced arrangement of a memorable and widely popular Novelty Rag. It is both charming and challenging! Playing Time 2:45.